What a night for fashion! Let’s take a look at the ensembles that caught my eye last night on the red carpet at the 2016 Screen Actors Guild Awards. Getty. Alicia Vikander in Louis Vuitton. 2016. Web. 30 Jan. 2016. http://www.vogue.com/slideshow/13393560/sag-awards-2016-fashion-red-carpet/#7. I didn’t like this dress at first, but Alicia has been killing the fashion game so I gave myself time to think about it. The more I look at it, the more I like it. The shapes and colors blend together for an overall sleek appearance. I want to mention one negative from the perspective of a photographer. Sequins reflect light. In many of Alicia’s photos, you can see bright spots of light on her dress or spotty reflections on her face. Getty. Anna Faris in Naeem Khan. 2016. Web. 30 Jan. 2016. http://www.vogue.com/slideshow/13393560/sag-awards-2016-fashion-red-carpet/#24. Lady in red! Anna looks like she stepped off the set of “Mad Men.” Beautiful! Strauss, Jordan. Annie Parisse. 2016. Web. 31 Jan. 2016. http://www.eonline.com/photos/18047/sag-awards-2016-red-carpet-arrivals/676225. I couldn’t resist adding this dress. I like the print and color palette. The warm cocoa brown complements Annie’s hair. Vespa, Jeff. Ariel Winter in Romona Keveza. 2016. Web. 30 Jan. 2016. http://www.usmagazine.com/celebrity-style/pictures/sag-awards-2016-red-carpet-fashion-what-the-stars-wore-w162344/ariel-winter-w162993. I affectionately call this a Wednesday Adams interpretation of glamour. Ariel looks so grown up! Harrison, Frazer. Charissa Thompson. 2016. Web. 31 Jan. 2016. http://www.usmagazine.com/celebrity-style/pictures/sag-awards-2016-red-carpet-fashion-what-the-stars-wore-w162344/charissa-thompson-w162976. The hairstyle and bodice feel beachy; I’m glad the accessories match that boho vibe. I also love the sandy taupe color of the shoes. Call me crazy, but I haven’t seen that specific color much on the red carpet. Kambouris, Dimitrios. Christian Bale & Sibi Blazic in Dolce and Gabbana. 2016. Web. 31 Jan. 2016. http://www.nydailynews.com/entertainment/sag-awards-2016-best-worst-red-carpet-gallery-1.2514995?pmSlide=1.2515182. Vespa, Jeff. Christina Ricci in Christopher Kane. 2016. Web. 30 Jan. 2016. http://www.usmagazine.com/celebrity-style/pictures/sag-awards-2016-red-carpet-fashion-what-the-stars-wore-w162344/christina-ricci-w162983. I don’t always like looks that combines multiple pastels, but Christina and her blonde hair look amazing in this dress. Getty. Claire Danes in Stella McCartney & Hugh Dancy. 2016. Web. 31 Jan. 2016. https://www.yahoo.com/style/sag-awards-2016-everyone-wore-233928853/photo-claire-danes-in-stella-mccartney-1454212177054.html. Hugh Dancy looks handsome in his suit tailored to perfection. Claire looks gorgeous as usual. I wasn’t a huge fan of her dress at first, but once I saw it from other angles, I warmed up to it. Harrison, Frazer. Diane Lane in Angel Sanchez. 2016. Web. 30 Jan. 2016. http://www.usmagazine.com/celebrity-style/pictures/sag-awards-2016-red-carpet-fashion-what-the-stars-wore-w162344/diane-lane-w162992. REX. Eddie Redmayne in Dior Homme. 2016. Web. 31 Jan. 2016. http://hollywoodlife.com/pics/mens-fashion-sag-awards-2016-red-carpet-photos/. The tailoring is well-done, and the stripe on the pants is a nice tribute to bellhops. 😉 I’m just joking! But seriously, I don’t think ALL men can pull off the side stripe. * Note: I am very strict when it comes to men’s fashion because the variety is subtle and comparably less than that of women’s fashion so I look closely at tailoring. Merritt, Jason. Ellie Kemper in Peter Pilotto. 2016. Web. 30 Jan. 2016. http://www.usmagazine.com/celebrity-style/pictures/sag-awards-2016-red-carpet-fashion-what-the-stars-wore-w162344/ellie-kemper-w162985. Ellie’s neutral makeup is stunning; her red hair is complemented by the green in the dress; and the pattern reminds me of Star Wars. I even love the choice of nail polish! Granitz, Steve. Emilia Clarke in Dior Haute Couture. 2016. Web. 30 Jan. 2016. http://www.peoplestylewatch.com/sag-awards-2016-best-dressed#2016/01/30/photo/emilia-clarke-best-dressed-sag-gallery-3187141. I am barely a fan of pink, and neon pink is even worse. Someone pinch me because I have gone crazy. Emilia looks gorgeous. Could it be?? Is she actually pulling off a neon pink dress?? I think so!! AP. Emily Robinson in Antonio Grimaldi. 2016. Web. 31 Jan. 2016. http://www.harpersbazaar.com/celebrity/red-carpet-dresses/g6789/the-best-of-the-2016-screen-actors-guild-awards-arrivals/?slide=47. This is another dress that did not impress me at first, but I eventually warmed up to it. It’s still not one of my favorite dresses, but I do love Emily’s hairstyle and makeup. Also, the color of the gown suits her skin color. AP. Hannah Murray in Charlie Brear. 2016. Web. 30 Jan. 2016. http://www.harpersbazaar.com/celebrity/red-carpet-dresses/g6789/the-best-of-the-2016-screen-actors-guild-awards-arrivals/?slide=33. This is one of the yellow gowns that I actually liked. Why? Hannah’s red hair and red lipstick pair well with the dress, and I do mean the specific shades of red. Very important! Shearer, John. Helen Mirren in Jenny Packham. 2016. Web. 30 Jan. 2016. http://www.hollywoodreporter.com/news/helen-mirrens-sag-awards-2016-860507. Hellen Mirren literally looks like a jewel, a luminous pearl. She can do no wrong! AP. Idris Elba in Ermenegildo Zegna. 2016. Web. 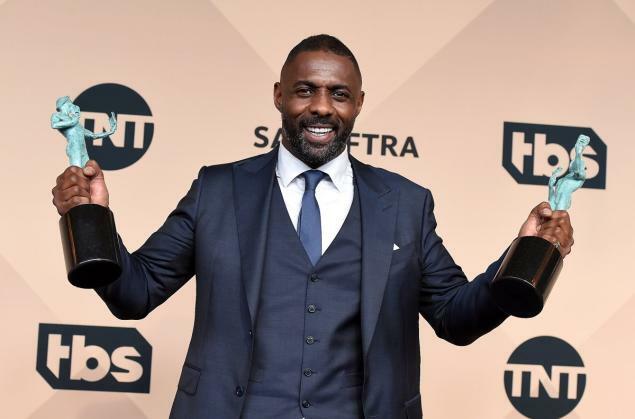 31 Jan. 2016. https://www.yahoo.com/style/sag-awards-2016-everyone-wore-233928853/photo-idris-elba-in-ermenegildo-zegna-1454212176863.html. Granitz, Steve. Idris Elba in Ermenegildo Zegna. 2016. Web. 31 Jan. 2016. AP. Idris Elba in Ermenegildo Zegna. 2016. Web. 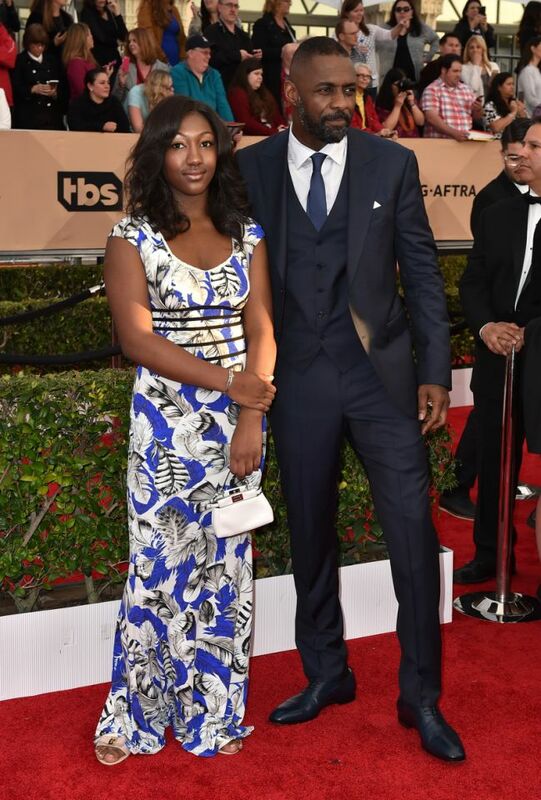 31 Jan. 2016. https://www.yahoo.com/style/sag-awards-2016-everyone-wore-233928853/photo-idris-elba-in-ermenegildo-zegna-1454212176863.html. Getty. Jacob Tremblay. 2016. Web. 31 Jan. 2016. https://www.yahoo.com/style/sag-awards-2016-everyone-wore-233928853/photo-jacob-tremblay-at-the-22nd-annual-1454212177022.html. AP. Julia-Louis Dreyfus in Monique Lhuillier. 2016. Web. 30 Jan. 2016. http://www.harpersbazaar.com/celebrity/red-carpet-dresses/g6789/the-best-of-the-2016-screen-actors-guild-awards-arrivals/?slide=10. Williamson, Todd. Julianne Margulies in Antonio Berardi. 2016. Web. 30 Jan. 2016. http://www.peoplestylewatch.com/sag-awards-2016-best-dressed#2016/01/30/photo/julianna-margulies-best-dressed-sag-gallery-3187121. I don’t like Julianne’s hairstyle, but I really like the dress. The bodice and neckline are very unique, something that not many people could pull off. Julie Bowen in KaufmanFranco. 2016. Web. 31 Jan. 2016. http://www.justjared.com/photo-gallery/3564871/modern-family-sag-2016-07/. Djansezian, Kevork. Kate Winslet in Giorgio Armani. 2016. Web. 30 Jan. 2016. http://www.buzzfeed.com/whitneyjefferson/fashion-on-the-2016-sag-awards-red-carpet?utm_term=.hcvLq7G2dw#.qtE3X4Kgav. I love this look from head to toe. The hairstyle, makeup, and choice of accessories are well-done. I don’t usually like a lot of exposure in the “chestal region”, but the triangular cutout is more tasteful than most so I give it a pass. REX. Keith Urban. 2016. Web. 31 Jan. 2016. http://hollywoodlife.com/pics/mens-fashion-sag-awards-2016-red-carpet-photos/#!12/keith-urban-sag-awards-2016/. It is hard for suits to stand out so I appreciate details. In this case, the contrasting piping. The black suit with a white shirt and black bowtie feels classic and yet it still matches Keith’s “rockstar” style. Granitz, Steve. Kiernan Shipka in Erdem. 2016. Web. 30 Jan. 2016. http://www.usmagazine.com/celebrity-style/pictures/sag-awards-2016-red-carpet-fashion-what-the-stars-wore-w162344/kiernan-shipka-w162986. Granitz, Steve. Kit Harington in Valentino. 2016. Web. 31 Jan. 2016. http://www.nydailynews.com/entertainment/sag-awards-2016-best-worst-red-carpet-gallery-1.2514995?pmSlide=1.2515018. Getty. Kristen Wiig in Roland Mouret. 2016. Web. 30 Jan. 2016. http://www.vogue.com/slideshow/13393560/sag-awards-2016-fashion-red-carpet/#10. Kunal Nayyar & Neha Kapur. 2016. Web. 31 Jan. 2016. http://www.justjared.com/photo-gallery/3564633/big-bang-cast-sag-2016-04/. I think Kunal is wearing the same suit as Keith Urban, but his styling is completely different, more suited to his personality. It looks like he and his wife got the same memo as Christian Bale and his wife: Men in black, ladies in red. Strauss, Jordan. Laura Prepon in Carmen Marc Valvo. 2016. Web. 30 Jan. 2016. http://www.eonline.com/#arrivals. The contrast between Laura’s dark hair and the blush pink dress is stunning. Definitely one of the best looks of the night. Latour, Rob. Liev Schreiber & Naomi Watts. 2016. Web. 31 Jan. 2016. http://wwd.com/eye/parties/gallery/2016-sag-awards-red-carpet-10335251/#!15/the-22nd-annual-screen-actors-guild-awards-arrivals-los-angeles-america-30-jan-2016-37/. * * * I’m running out of steam after working on this post for hours. Please excuse my lack of words for the last few looks. Latour, Rob. Granitz, Steve. Mark Ruffalo and Sunrise Coigney in Dolce and Gabbana. 2016. Web. 31 Jan. 2016. http://wwd.com/eye/parties/gallery/2016-sag-awards-red-carpet-10335251/#!18/the-22nd-annual-screen-actors-guild-awards-arrivals-los-angeles-america-30-jan-2016-42/. Getty. Naomi Watts in Burberry. 2016. Web. 30 Jan. 2016. http://www.vogue.com/slideshow/13393560/sag-awards-2016-fashion-red-carpet/#5. The contrasting blues and texture of the flowers adds depth to this look. Strauss, Jordan. 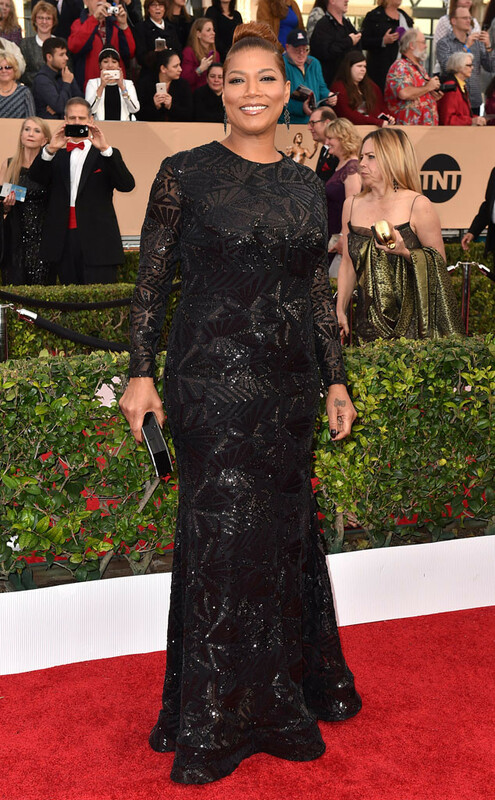 Queen Latifah in Michael Costello. 2016. Web. 30 Jan. 2016. http://www.eonline.com/photos/18096/best-dressed-at-2016-sag-awards/676574. The silhouette is flattering, and the styling is spot-on. Merritt, Jason. Rachel McAdams in Elie Saab. 2016. Web. 30 Jan. 2016. http://www.peoplestylewatch.com/sag-awards-2016-best-dressed#2016/01/30/photo/rachel-mcadams-best-dressed-sag-gallery-3187116. I need Rachel and her beauty squad to take it down a notch. Their consistency makes everyone else look like amateurs. Busacca, Larry. Rooney Mara in Valentino. 2016. Web. 30 Jan. 2016. http://www.peoplestylewatch.com/sag-awards-2016-best-dressed#2016/01/30/photo/rooney-mara-best-dressed-sag-gallery-3187086. I love the simplicity of Rooney’s ensemble. Very Audrey Hepburn! Harrison, Frazer. Sarah Hyland in J. Mendel. 2016. Web. 30 Jan. 2016. http://www.usmagazine.com/celebrity-style/pictures/sag-awards-2016-red-carpet-fashion-what-the-stars-wore-w162344/sarah-hyland-w162979. The indigo color of the gown is g-o-r-g-e-o-u-s; it complements Sarah’s short, blonde hair. I also love the makeup and the color of the earrings. Details really do matter! I cannot say that enough. Djansezian, Kevork. Saoirse Ronan in Michael Kohrs. 2016. Web. 30 Jan. 2016. http://www.hollywoodreporter.com/news/saoirse-ronans-sag-awards-2016-860490. I don’t like the earrings or the hairstyle, but the dress is nice. Harrison, Frazer. Sola Bamis. 2016. Web. 30 Jan. 2016. http://www.huffingtonpost.com/entry/sag-awards-red-carpet_us_56a145fae4b0404eb8f0c963?ir=Entertainment§ion=us_entertainment&utm_hp_ref=entertainment. I don’t like the bow, but I love the color and silhouette of the dress. The lipstick and nail polish colors were chosen wisely. Sola looks radiant and beautiful. Strauss, Jordan. Sophie Turner in Carolina Herrera. 2016. Web. 30 Jan. 2016. http://www.eonline.com/#arrivals. Kambouris, Dimitrios. 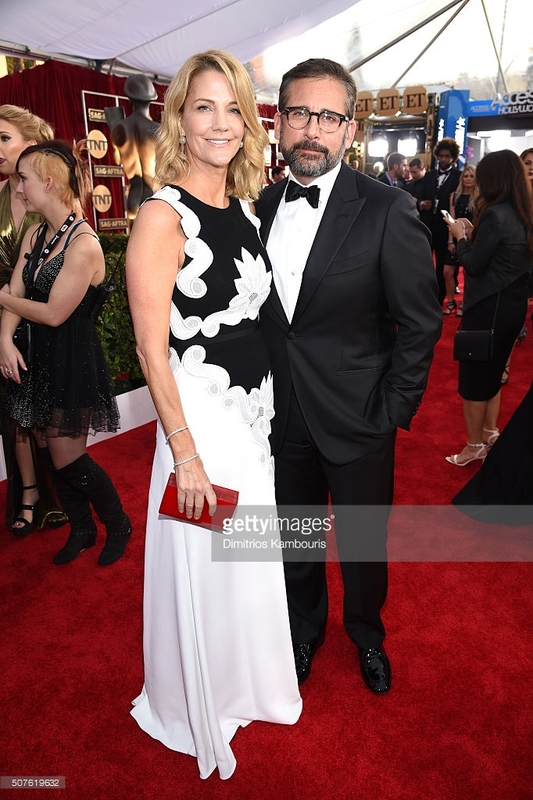 Steve & Nancy Carell. 2016. Web. 31 Jan. 2016. http://www.gettyimages.com/detail/news-photo/actors-nancy-carell-and-steve-carell-attend-the-22nd-annual-news-photo/507619632. O’Connor-Arroyo/AFF. Tina Fey in Prabal Gurung. 2016. Web. 30 Jan. 2016. http://www.peoplestylewatch.com/sag-awards-2016-best-dressed#2016/01/30/photo/tina-fey-best-dressed-sag-gallery-3187091. The structure of the bodice could easily look unflattering, but this is Tina Fey. She made it work! Granitz, Steve. Viola Davis in Zac Posen. 2016. Web. 30 Jan. 2016. http://www.huffingtonpost.com/entry/sag-awards-red-carpet_us_56a145fae4b0404eb8f0c963. 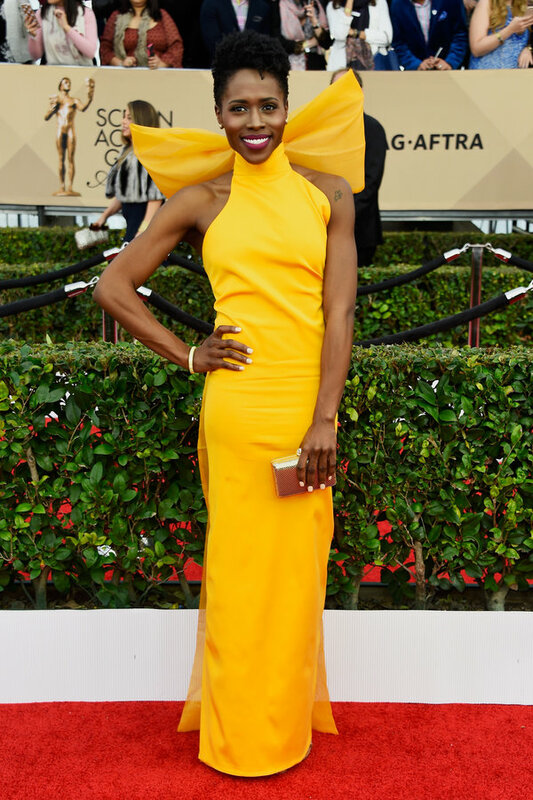 Viola looks amazing in this dress. The maeve color makes her skin glow. Idris Elba & Rachel McAdams!! I want to close with a nod to Miss Carol Burnett, recipient of the lifetime achievement award last night. Her talent has touched lives decade after decade, and my generation is no different. Every night at 11pm, I watch her show on MeTV, and it never ceases to put a smile on my face.